The dramatic untold story of one of the most important biological discoveries – and what it holds for the future. Everything that you think about genes, about why you look like your parents, about humanity’s place in the natural world, can be traced back to two decades of discovery in the 1940s and 1950s, when biologists were adopting the words and concepts of computing – codes, information, programs. They showed that genes were made of DNA and then realized that the DNA contains a code that instructs organisms how to grow and behave. Yet, amazingly, few people know about this discovery and the shift in our worldview that it brought about – or the names of most of those involved. 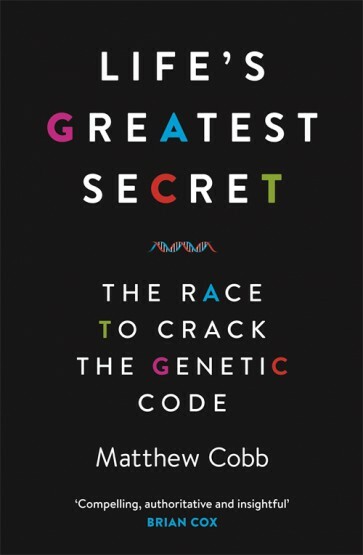 In Life's Greatest Secret, Matthew Cobb provides the first popular account of the discovery and cracking of the genetic code. This great scientific breakthrough has had far-reaching consequences for how we understand ourselves and our place in the natural world. The code forms the most striking proof of Darwin's hypothesis that all organisms are related, holds tremendous promise for improving human well-being and has transformed the way we think about life. Cobb interweaves science, biography and anecdote in a book that mixes remarkable insights, theoretical dead-ends and ingenious experiments with the pace of a thriller. He describes cooperation and competition among some of the twentieth-century's most outstanding and eccentric minds, moves between biology, physics and chemistry, and shows the part played by computing and cybernetics. The story spans the globe, from Cambridge MA to Cambridge UK, New York to Paris, London to Moscow. It is both exhilarating science and a fascinating story about how science is done.